With the terrific advancement in the technology, the smartphones with all the standard features are now available at the budget-friendly price. 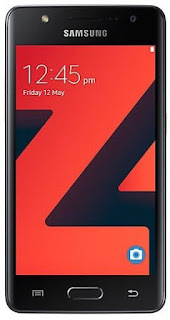 Samsung Z4 is one such phone by Samsung. The device is equipped with 1.5 GHz Quad-core processor and 1 GB RAM allowing you to work swiftly and smoothly on it. It is loaded with dual flash at the front and rear and 2.5 D glass making it robust and durable. Scroll down to learn about its other features. . .
Design & DisplayThe Samsung Z4 comes with thin bezel display and is complemented with extremely mesmerizing sleek design. The back cover is elegant and provides you with a comfortable grip. It comprises of 4.5 inch display screen secured with 2.5D glass. It has a resolution of 480 x 800 pixels. Processor & OSThis smartphone sports the Tizen operating system and Quad-core processor. This allows the phone to work at the standard speed, enabling you to enjoy your games and watch your videos without any disturbance. The phone consists of 1GB RAM and 8GB internal memory which is expandable up to 128GB via Micro SDcard. It is decked up with 2050 mAh capacity battery, which makes sure this mobile stays energetic for long time. CameraWith its amazing camera, you can capture all the beauty around you. It consists of 5 MP rear and 5 MP front camera. It comprises of dual flash to make your selfies even more charming. So keep all your pretty snaps right in your mobile and carry it along. ConnectivityThe device can be easily connected to WiFi, WiFI direct and bluetooth. It also supports 4G LTE which lets you surf at incredible speed. So, get your hands on this little wonder at amazing price.